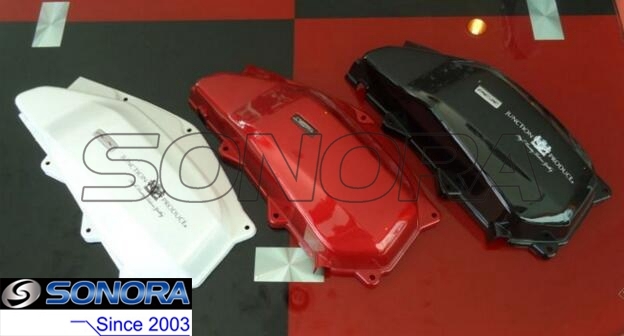 This air filter cover is for Honda PCX125 PCX150 motorcycle.We can supply Honda PCX125 PCX150 Air Filter with red , black, white color.Same size and design as orginal. Sonora Motor is good at supplying all the scooter or motorcycle engine parts, like Magneto Stator Coil , Cylinder Kit , Carburetor Carb , Starter Motor , CDI Ignition , Ignition Coil , etc .When you have any needs for Scooter&Motorcycle Engine Part , please let us know.We'll answer you questions in one working day, or even sooner. Looking for ideal Honda PCX125 Air Filter Cover Manufacturer & supplier ? We have a wide selection at great prices to help you get creative. All the Honda PCX150 Air Filter Cover are quality guaranteed. We are China Origin Factory of PCX125 Air Filter Cover. If you have any question, please feel free to contact us.